A tired crew on board Team Vodafone Sailing crossed the finish line at Orakei this afternoon at 17:49:17. After crossing the finishing line the crew admitted to being very thirsty for a beer, definitely well deserved for the regulars who are led by skipper Simon Hull. “It was a frustrating day we thought we would get back a bit quicker. There wasn’t a real highlight, just a lot of little lowlights. Once again, it would seem that the wind bill hasn’t been paid!” joked Hull. “It wasn’t anything like what forecast but it was character building. “15-20 knots all the way back so essentially it was a 150 mile windward/leeward, but we will do it all again next time,” said Hull. The remainder of the fleet is now made up of double handed and fully crewed monohulls. 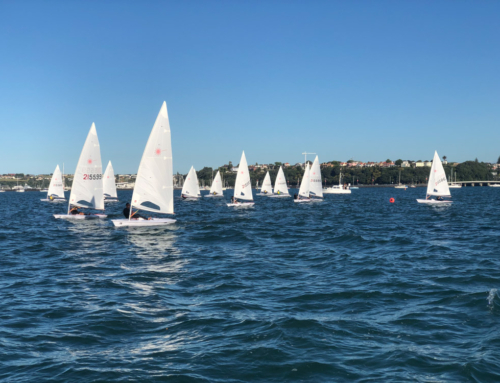 Information being received from the fleet is that Rikki (Ray Hasler) is currently leading over the line followed by Starlight Express (Dan Stenhouse), Notorious (Christiaan Arns) and Django (Andrew Reid), who are also the leading double handers. 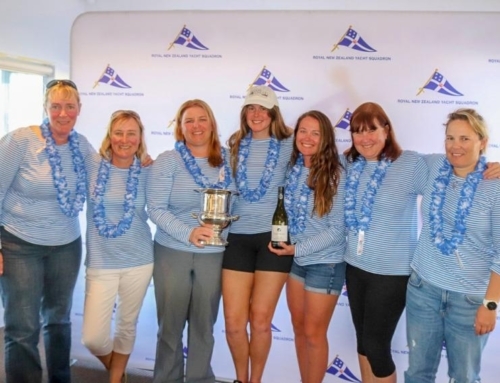 There have also been withdrawals from the 320 nautical mile race. First to withdraw was Bushido after Greg Elliott suffered an injury 30 minutes in. This morning Royal Akarana Yacht Club race control heard that Liberte II (Ian Kuperus) and his crew had withdrawn. No reasons were stated, however all were ok on board. Wandering Star (Gareth Wells) joined the group of retirements stating time restraints and due to other commitments back in Auckland and therefore needed to withdraw. Mercenary looked to have turned around early this morning as per their tracker, however no information was received until this afternoon when skipper Sean Wright’s partner contacted race control to advise that the two man team had both suffered food poisoning. “They both ate the brand new freeze dried food however something was very wrong and they both ended up very sick” said Bea Caley. The team arrived safety back at Westhaven at 1800 hours this evening, very thankful to be back on dry land. Moody Blue IV (Hamish Milne), affectionately known as the “super tanker” reported head foil damage and were forced to withdraw as well. Finally Truxton made the decision to retire and to continue back to Auckland via Cuvier Island to get the miles required to complete their qualifying for the 2014 Round North Island Race. The first monohulls are not expected to finish until daylight Sunday morning 24 November.